​​ ​FRISCO – New York-based Innovatus Capital Partners has purchased the six-story Frisco Bridges Place building on the east side of the Dallas North Tollway. The 163,923-sf office building, near Stonebriar Centre shopping mall, is more than 90 percent leased. 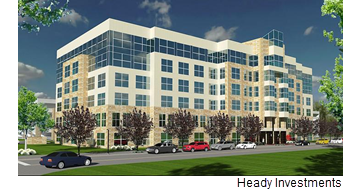 Currently 93 percent-leased to 23 tenants, the six-story, Class A office building is ​at 2600 North Dallas Parkway​. The building is located between Plano's $3 billion Legacy West development and the Dallas Cowboys' Star in Frisco’s mixed-use project. ​Check out Dallas-Fort Worth-Arlington Office Market Research.